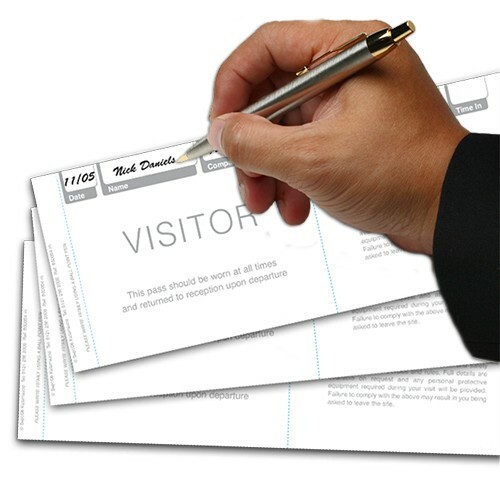 Kalamazoo's visitor pass system is a cost-efficient solution designed to enable you to effectively manage your visitors. 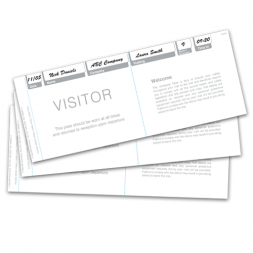 Visitor pass refills are sold in packs of 100 (4 x 25 overlapped passes with journal sheet and a discretion sheet) and are used to record visitor information upon arrival at your premises. To be used with the Kalamazoo Visitor Display Book (sold separately). 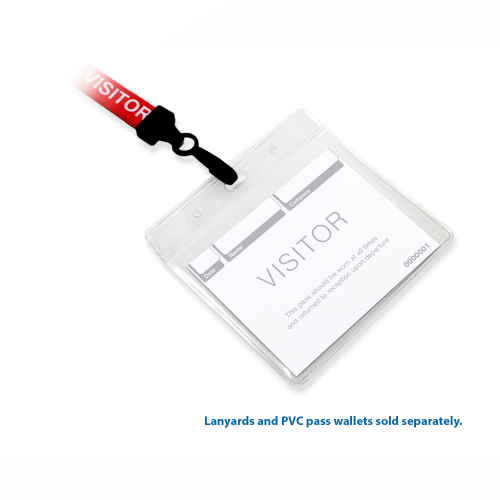 This visitor pass system is suitable for any organisation looking to effectively manage visitors. Once information fields have been completed, passes are detached and slotted into a wallet, allowing you to keep track of visitors on site. 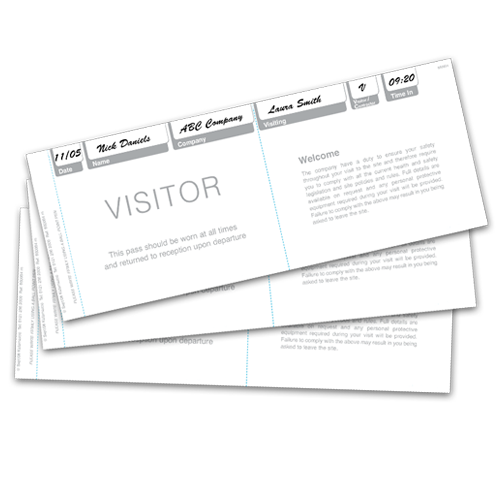 Kalamazoo's visitor pass system is designed to enable you to effectively manage your visitors and help your organisation fulfil its Duty of Care. Duty of CareEvery organisation has a legal obligation to implement reasonable measures to ensure individuals, including staff and visitors, are protected from harm whilst on the premises. Upon arrival at your premises, visitors simply fill in their details on the pass provided, which simultaneously creates an integral register and up to date fire evacuation list. The pass is then removed from the book, placed in a PVC wallet with a Lanyard or Metal Clip and given to the visitor to be displayed at all times. On the reverse of the pass, generic health and safety guidelines are provided for visitor use, helping to ensure they are kept safe whilst on the premises. We also provide Personalised Visitor Passes, which incorporate your company logo, branding and details, as well as specific health and safety procedures. 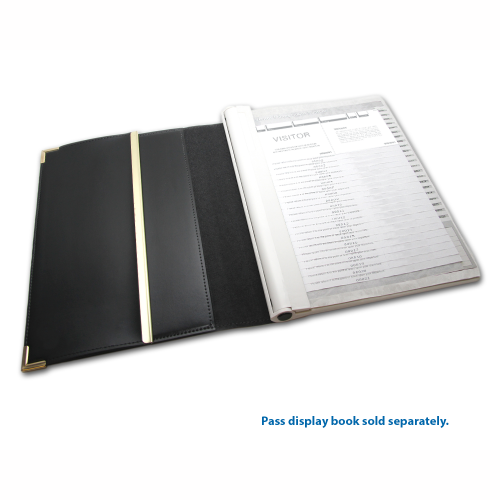 Kalamazoo's visitor passes are design to fit into the Visitor Pass Display Book, which provides a professional solution ideal for storage on your reception or front desk.